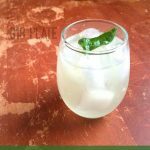 This gin fizz is a perfect drink for a summer night whether you’re lounging outside watching fireflies (while trying not to be eaten by mosquitoes), or just sitting inside watching TV. With 3 local ingredients, this is an ideal representation of farm-to-table at home! The basil & cucumbers are, of course, from our garden. I finally think our cucumbers are dwindling, because it has been so hot. So with that, Cucumber Month is coming to a close. I had big dreams of also including refrigerator pickles, but honestly, we’re pretty pickled out over here. We did discover that cucumbers and honey are an excellent after-dinner snack, and that’s where the inspiration for this drink came from! Gin has become my “adult” drink. My go-to at fancy dinners is just a gin and tonic, but I LOVE the gin fizz (sometimes called/similar to the gimlet). The key in that drink is the lime, it truly unlocks the flavors. I thought about combining all of these elements into one drink: honey, cucumber, lime and gin. 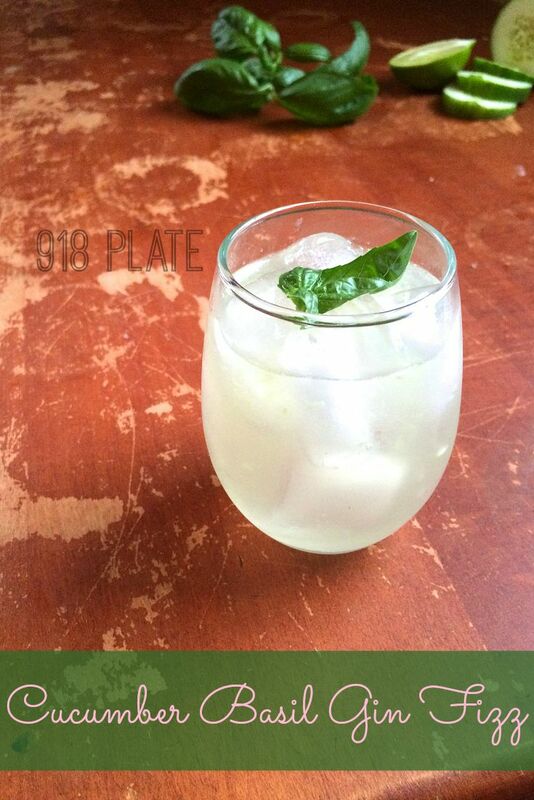 Basil just naturally fit in with the cucumber and gin, giving this drink a very “garden-y” taste. 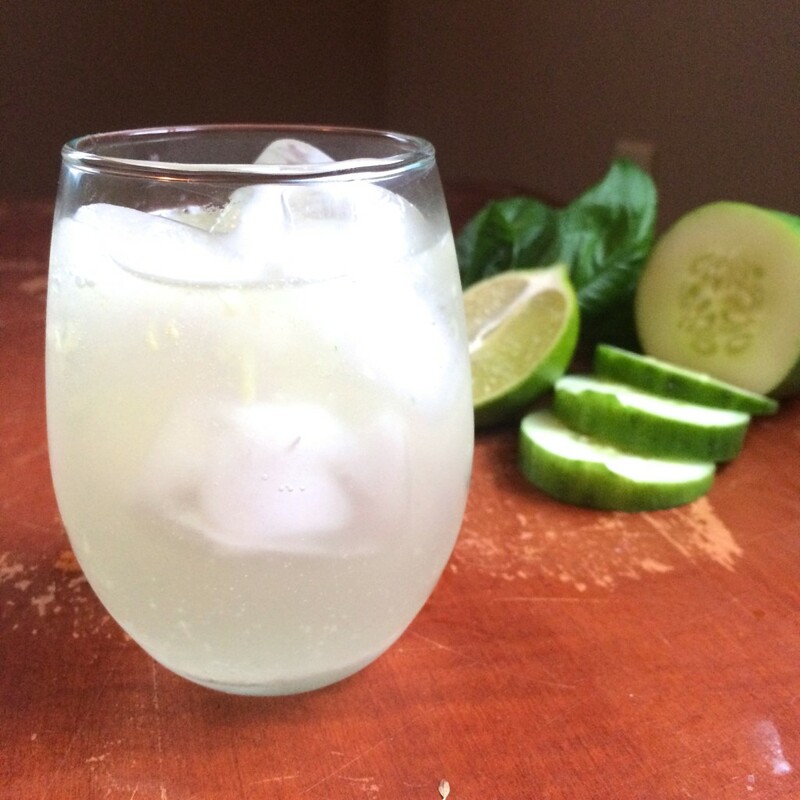 This cocktail is light and fizzy, with a hint of the freshness of cucumber and sweetness from the honey. It’s a must try. I was impressed at how well these flavors melded together so effortlessly. I hope this drink will help you enJOY your evening, whatever you may be doing! If you’re just now joining us, then you didn’t get to experience Cucumber Month in real-time. Never fear. First, there was some kimchi, and then some kitchen counter pickles! You can head there if you are a cucumber enthusiast. Light and fresh cocktail, perfect for summer nights! 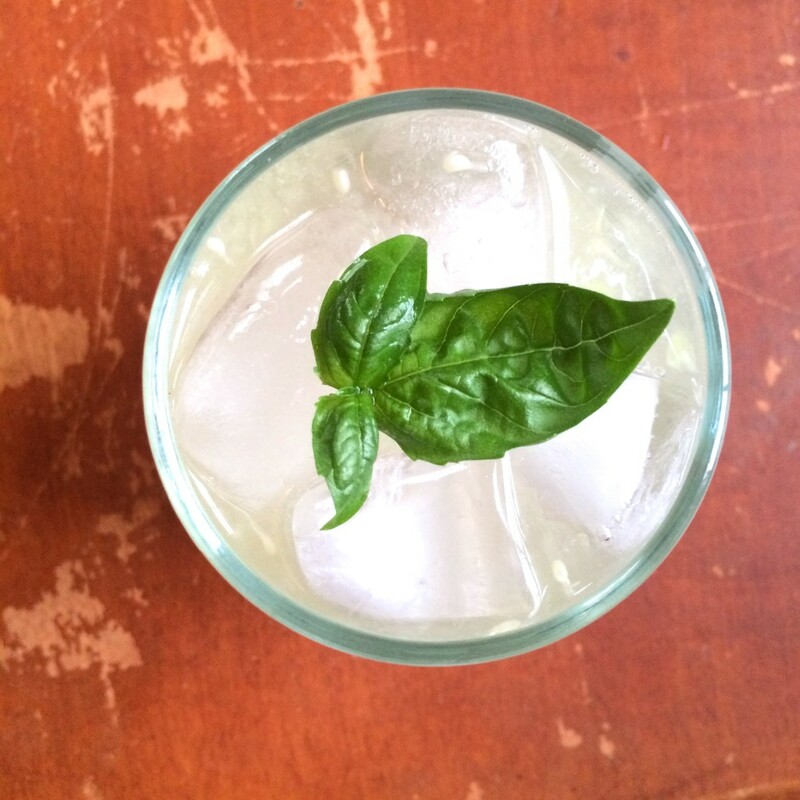 Muddle basil and cucumber together in a shaker. Add honey, lime, gin and ice to shaker. Shake vigorously, until it’s frothy and cold. 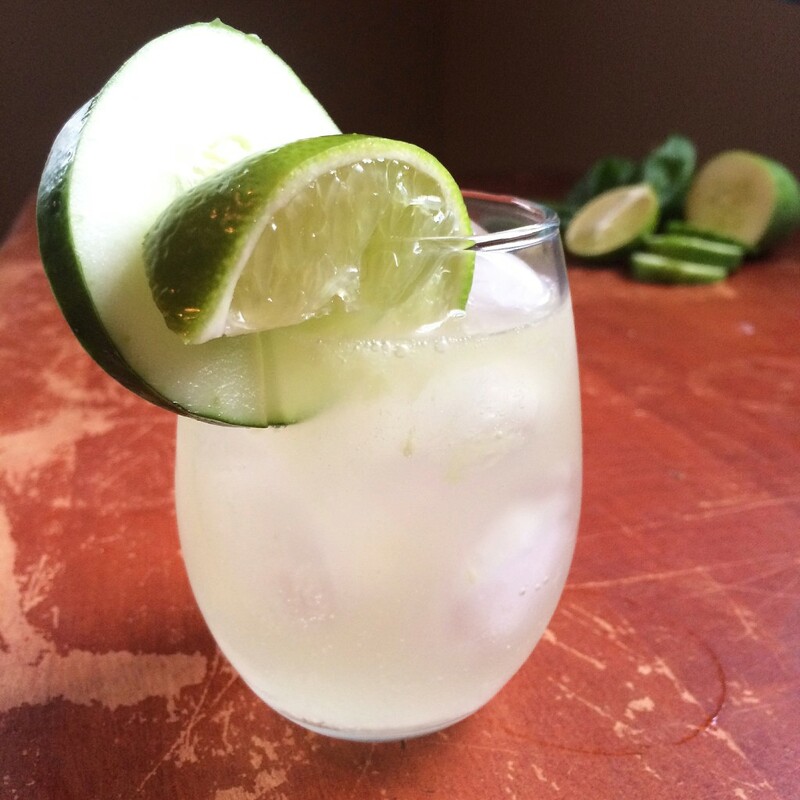 Top off the drink with your lemon-lime soda, and garnish with a cucumber, lime, or both! This post has been linked up with Try a Bite Tuesday! This sounds so delicious and refreshing. Looks like cucumbers and basil are on my grocery list tomorrow. Hooray! It turned out so perfectly, and I was very pleased. 🙂 Hope you enjoy it also! Yum! I think this might be good out on the deck tonight! Never done gin. So that will be interesting! Gin is my new grown-up fave! Oh wow, Debra, So honored to be featured! 🙂 I’m always here! Mmm…..might be yummy with some lemongrass kombucha! oh wow! yes, i agree!